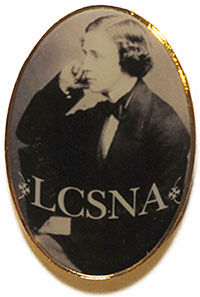 While our meetings are free and open to the public, annual membership in the LCSNA has its privileges. Membership includes a free subscription to our superb magazine, the Knight Letter, and a copy of any member premium we produce during the current membership year. 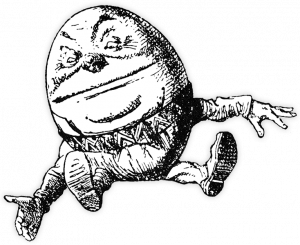 A recent example is: Rare, Uncollected, Unpublished, & Nonexistent Verse of Lewis Carroll, edited by Edward Wakeling and August A. Imholtz. The only way to get a copy is to be a member. This is due to an agreement with the C. L. Dodgson Estate, in which the book may not be sold. U.S. members also receive free shipping on our publications. All members receive special rates on hotels for meetings (when available), advance notification of all our upcoming events, and an exclusive membership pin. You can join the Society online or by mailing a check. To pay online via PayPal, use the buttons above. *Student memberships are being made available to anyone 25 years old or younger or those attending an educational institution resulting in a graduation certificate or degree. **Sustaining members are those who wish to increase our ability to support Carrollian studies and related events by contributing an extra amount. While there is no material benefit to this additional level of support, we try to say thank you to our sustaining members in some small way each year. For the past few years, we have presented them with an exclusive, member-designed bookmark. 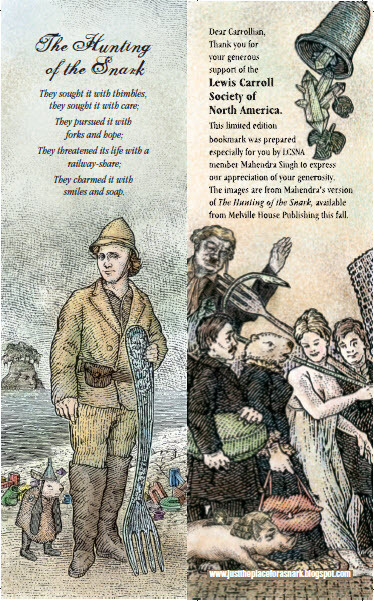 See the front-and-back artwork for the 2010 sustaining members bookmark designed by Mahendra Singh.